He was a fast-talker with a Kuwaity accent far better than mine, and for whatever reason, I kept getting sleazy car salesman vibes off of him (maybe it was his smarmy attitude). 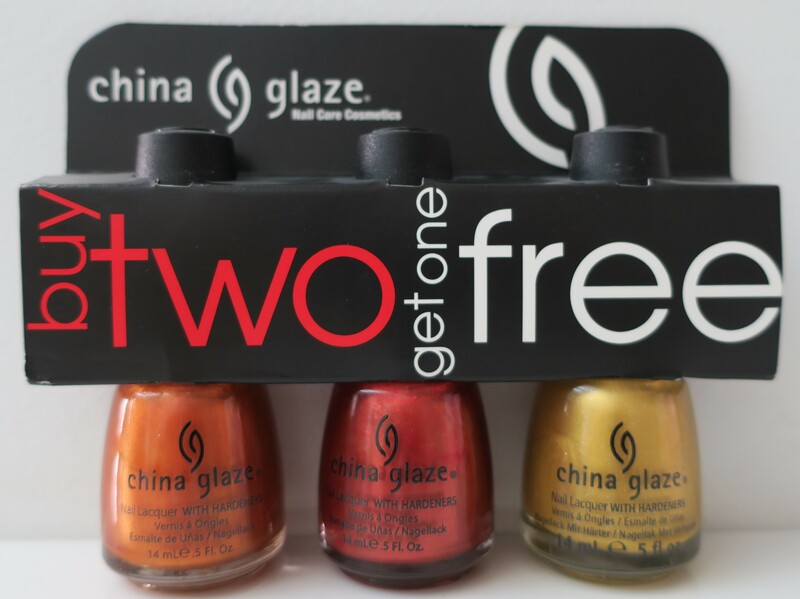 He said he’d “hook me up” for purchasing from his booth (the booth where he was stationed rather) and true to his word, proceeded to toss in a whole bunch of China Glaze Nail Polishes (shown above) as a “gift with purchase”. He was being overly generous, so I automatically knew that there just had to be something wrong with them, other than their unflattering shades (probably expired or about to expire), but I didn’t want to sound ungrateful or offend him (especially not after accidentally offending the dude at the Al Mansour booth earlier, here) so I said nothing. Plus, it was the last day of the Perfume & Makeup Exhibition and maybe he really was just trying to empty out the bag of Nail Polishes (“gift with purchase”). 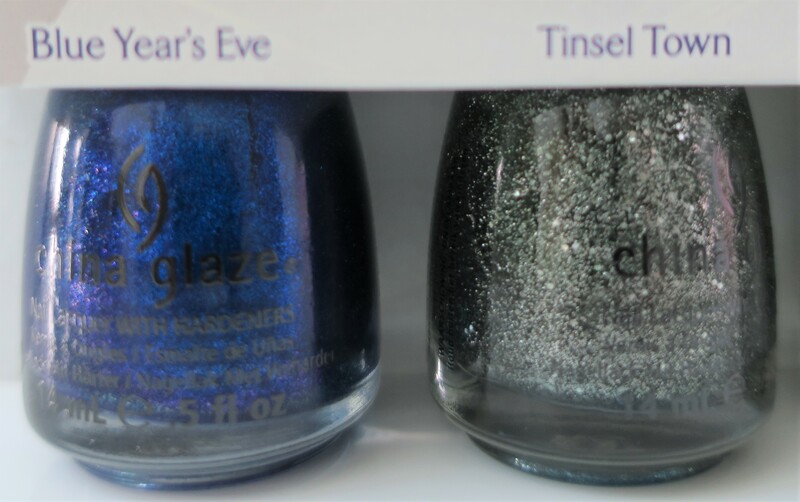 Also, at the end of the day, it was Nail Polish and from my favorite Nail Polish brand, no less (China Glaze). So, how bad it could be? 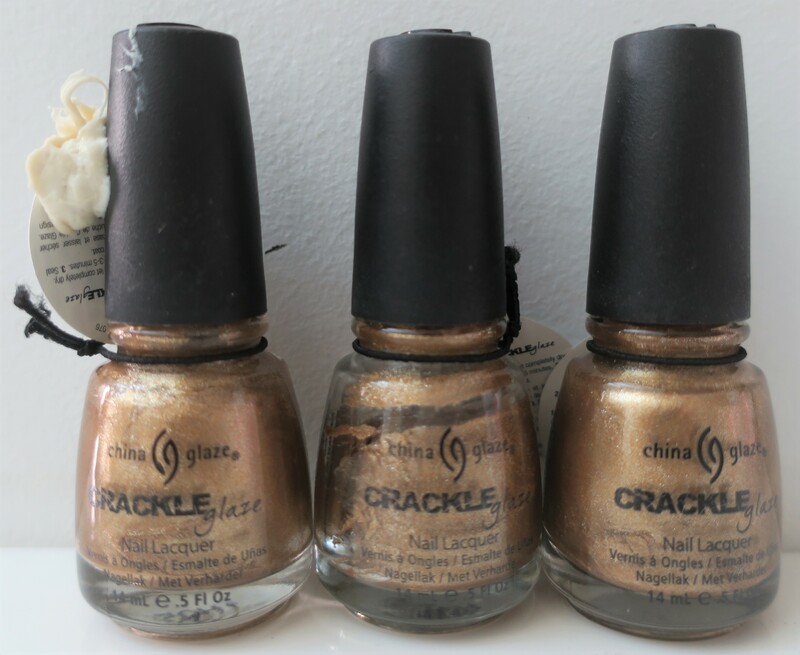 He’d tossed in x3 of the exact same shade of Crackle Nail Polish (full review years and years ago, here) called Tarnished Gold. Out of all three, one was relatively fine (other than being ancient, at this point), whereas the other was already completely dry and unsalvageable and the last one actually had chewing gum on it, which ended up getting on my new perfume. Thankfully, it was only on the outer packaging though, but still… so gross! Other than being super old lol these three were also hideous shades. That said, Champagne Bubbles seemed marginally less hideous than the other two. 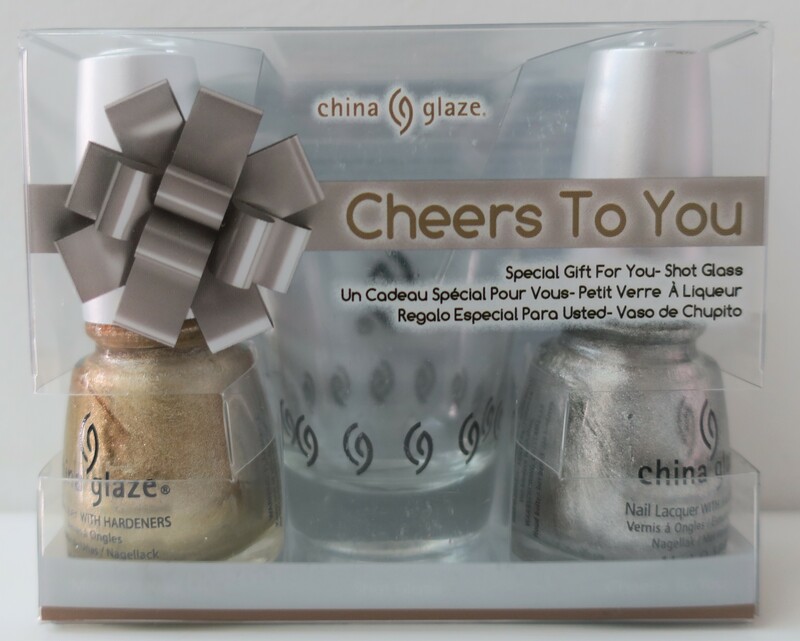 Whatchu’ doing giving away shot glasses, China Glaze? 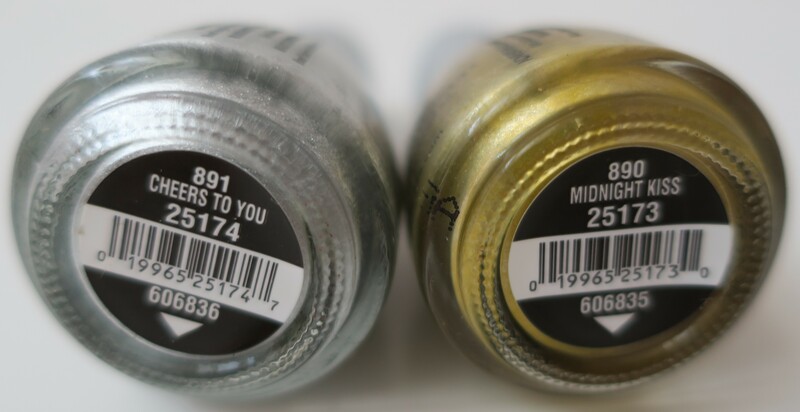 lol The shades in this set aren’t my thing, because other than already starting to separate (as you can see), they also tend to dry with visible brush strokes on the nails. That said, I think this set was quite cute (for including a random item)! 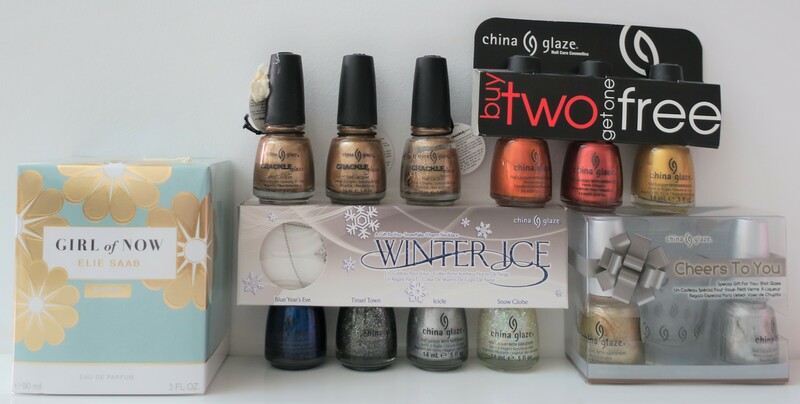 I’ve always just found China Glaze to be so endearing! 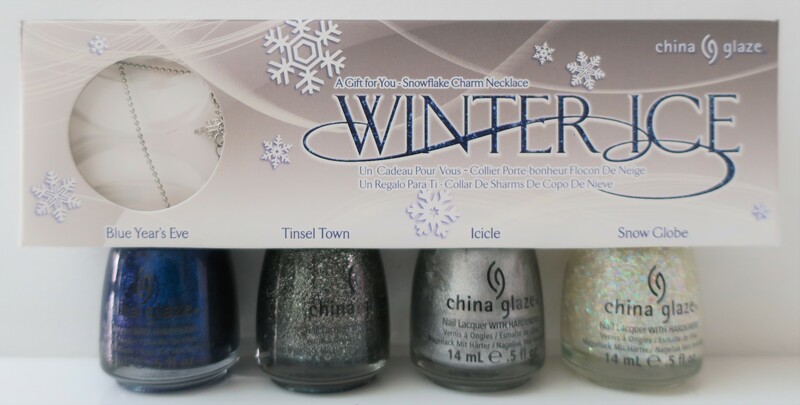 Awww The cutest China Glaze Set I’ve seen to date! Everything is so adorably festive! The shades are lovely and don’t seem to be too dried up. Tinsel Town actually looks kinda’ cool and Snow Globe is so pretty and Blue Year’s Eve is just gawjus! Even the names are lovely! 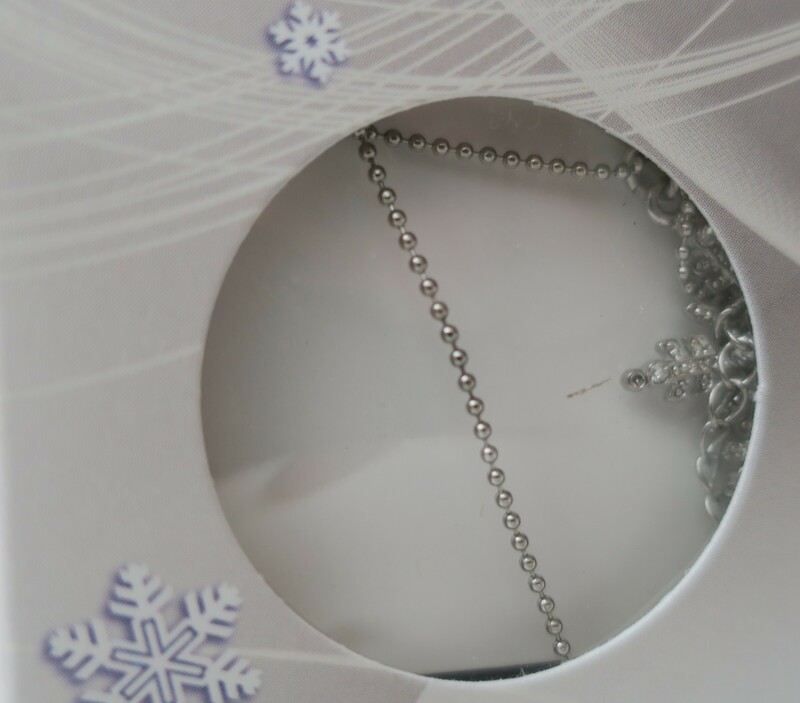 Plus, it comes with a cute little Snowflake Charm Necklace. I’m actually happy with this particular set! GIRL OF NOW SHINE, the new perfume capturing the radiant spirit of the “Now Generation”. GIRL OF NOW SHINE, the new luminous variation of the Girl of Now fragrance. A floral addiction, enhancing the ELIE SAAB’s signature of Orange Blossom & Patchouli, with the star ingredient, Almond. At its start, the Pineapple instantly highlights the toasted Pistachio. Then, voluptuous white flowers – Ylang Ylang and Jasmine – illuminates the Ormond flower’s delicious orangey almond. Enveloped in a powdery Vanilla and Iris, the base notes of Patchouli become more vibrant. I’m not a huge fan of the packaging as I find the bottle a bit tacky and old-fashioned (… and ugly). However, since it’s on the smaller side, you can easily stash this in an average-sized handbag for on-the-go touch-ups or whatever (it’s portable, is what I’m saying). Also, I have no clue what “solar note” means and after googling it, I’m even more confused now lol Apparently, “solar notes” are sorta’ fresh and beach-y, both of which this perfume is definitely not (at least, to me). At first, this thing straight up smells like a hospital, or rather the industrial liquid hand-soap used in hospitals (that would be the benzaldehyde which smells like almonds). It’s very, very unpleasant. After some time, I get a blast of offensive florals with a whisper of vanilla (that quickly dissipates), leaving behind the nasty florals. One of the florals in particular has a somewhat fresh scent that I tend to do enjoy, but coupled with the others, it just hurts my nose. I can’t even pin-point the nicer floral (I wanna’ take a guess and say it’s the ylang ylang, but I could be wrong). I can only smell the pineapple notes when I spritz some of this stuff on my clothes. Otherwise, on my skin, all I get is florals with the dominant note being a rather strong medicinal almond scent (which I find extremely irritating). It does eventually turn sweet on my skin, but only much, much, much later. Also, this thing last and lasts and lasts. The only way to get rid of the scent is by actually washing it off my skin and even then, there’s still faint traces of the scent left behind. Personally, I actually like the scent a lot more when it’s that faint! At full-strength, this thing just kills me (not in a good way). Despite all that, the sillage is rather lovely! Once I caught a whiff of this in the air, I could understand why this scent was named Girl of Now (Shine) or rather why they named this version “Shine“. Don’t get me wrong, I believe Girl of Now and all of it’s flankers have horribly cliche and un-innovative names. However, smelling this particular scent lingering in the air or on my clothes, actually put a smile on my face and made me understand why it was named Shine. I guess I could now understand what they meant by “solar note” as well (the pineapple and vanilla gave it that “beach-y vibe”). Girl of Now (Shine) truly is a sweet scent, except it takes forever to finally get there! Everyone likes this scent on me… except for me lol I’m really not happy with Girl of Now (Shine) but I will continue to use it in the hopes that in time I might actually grow to enjoy it. In fact, the very reason I wanted to purchase the original was because I thought it was a more mature gourmand and I figured since I’m old now (pushing 100), I should start developing a more mature taste in fragrances… and yes, to me Girl of Now is more mature lol (despite the fact that apparently the entire world think’s it’s overly sweet) whereas I find Girl of Now (Shine) to be just… unpleasant. 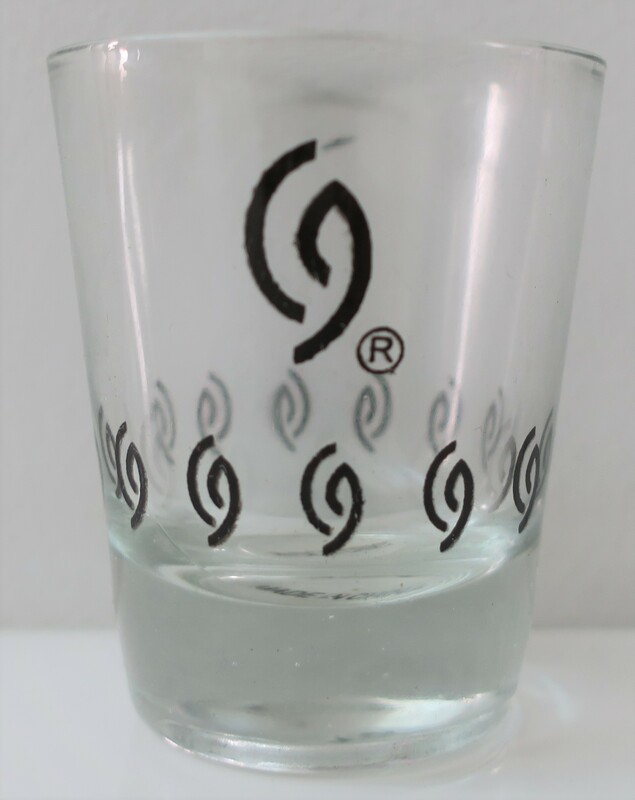 That said, when there are faint traces of it lingering in the air or whispers of it on my skin, I find that I can not only stomach Girl of Shine (Now) but also enjoy it a lot more! Several hours in, after you’ve gone through all the unpleasantness, it finally turns into a lovely sweet tropical scent! It goes without saying, but I definitely won’t be repurchasing Girl of Now (Shine). 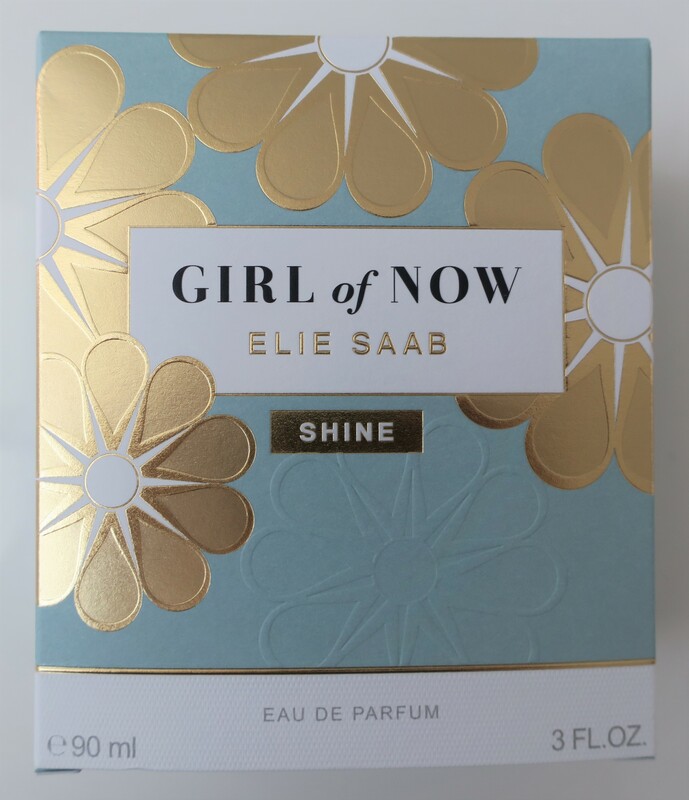 If you like sweet florals with “solar notes” (I just learned that term and now I can’t stop abusing using it lol), then I suggest you give Girl of Now (Shine) a sniff. If like myself you prefer gourmands (that start off as gourmands and stay that way), then I’d say skip this perfume. 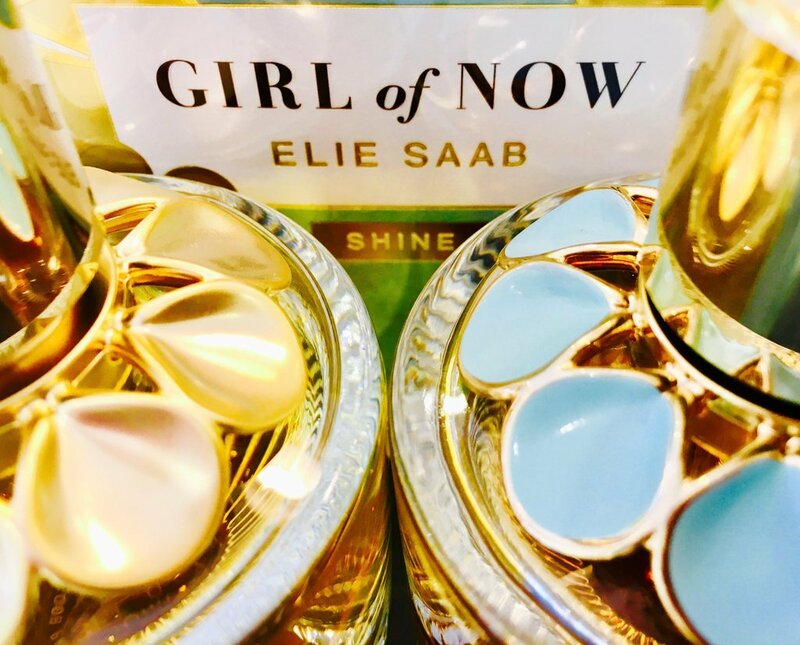 Elie Saab Girl of Now (Shine) Eau de Parfum retails for KD 43/250 at Sephora. 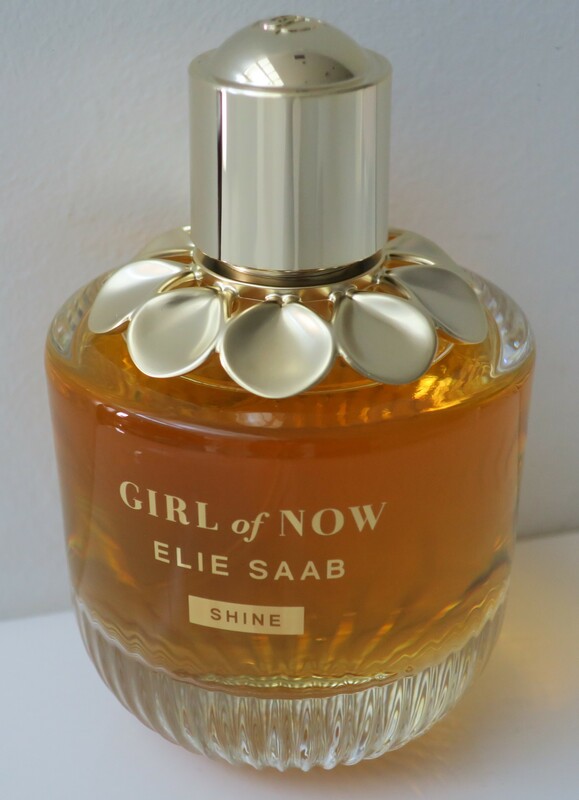 However, Elie Saab Girl of Now Eau de Parfum also retails for KD 43/250 so if you’re willing to spend the money anyway, I’d definitely recommend Girl of Now instead of Girl of Now (Shine) (unless you’re not a fan of gourmands). Girl of Now is a gourmand whereas Girl of Now (Shine) is a sweet floral. Girl of Now has the blue petals whereas Girl of Now (Shine) has the gold petals. Girl of Now was released in 2017 whereas Girl of Now (Shine) was released in 2018. That said, apparently there’s yet another new flanker that was recently released in 2019 called Girl of Now (Forever) (that’s not how time works, but okay, Now-Forever lol) which comes with peachy-pink petals and has a fruitier, airier and all around lighter scent than the other two. Expect it to hit stores in Kuwait soon!